If your customers don’t trust you, your business will fail. 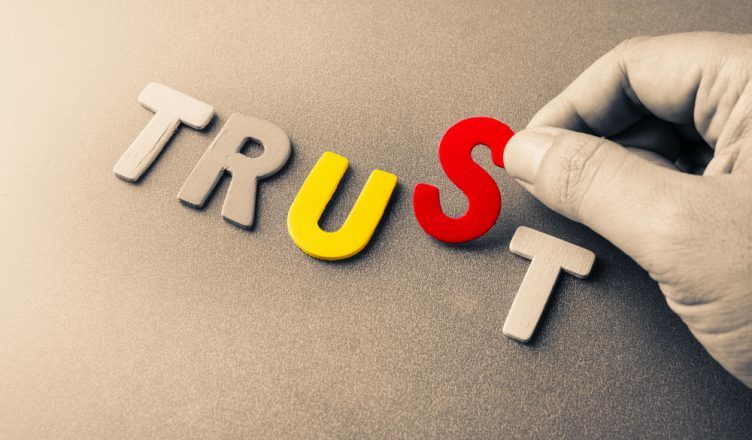 A survey conducted by the consulting firm Rare found that 83% of consumers say that their loyalty to a brand depends on trust. According to this survey, trust is a more important factor to consumers than price (81%) and quality (80%). Trust will help you keep your current customers, and it also makes it easier to win over new customers. A customer that trusts you will naturally recommend your service to their friends and family whenever your industry happens to come up in conversation. Advertisements can cost you thousands of dollars to produce and distribute. A personal recommendation is a much more effective way to convince someone to start using your service, and it doesn’t cost you anything. So, trust is important. But how do you get your customers to trust you? Route mapping software can help. With route mapping software, you can guarantee that every route you give your drivers is the most efficient route possible. That allows your drivers to show up when you said they would show up, which will help you establish trust with your customers. Figuring out how the most efficient way to visit your customers can take a lot of time when you plan routes with pen and paper. If you have dozens or hundreds of stops and multiple drivers, it can take hours. And planning routes manually makes it difficult to account for traffic, weather, and construction, so all that time you spend route planning might not even produce good routes. Route4Me’s route mapping software generates 100% accurate and optimized routes for you in 30 seconds or less, no matter how many stops you need to make. All you need to do is upload a list of the addresses you need to visit, and our software takes care of the rest. Route optimization isn’t the only thing that route mapping software can do for you. Route mapping software that has a GPS tracking feature like Route4Me gives you the ability to see what your drivers are doing in real-time. Employees tend to slack off a bit when they’re unsupervised, and drivers are almost always unsupervised. While they’re on the clock, they might take an unsanctioned break and stop at a restaurant for a bite to eat. They might even stop by a friend’s house to hang out when they should be working. GPS tracking allows you to stop such shenanigans. 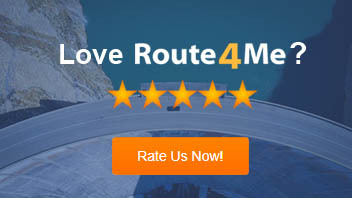 At any time, you can jump on Route4Me and see exactly where each of your drivers are. You can make sure your drivers are doing what you’re paying them to do. It’s like being right there in the passenger seat with them, even though you’re actually sitting in your office. Also, GPS tracking software allows you to see how fast your drivers are going. Speeding is a waste of gas, and it puts your drivers at greater risk of getting into an accident. You can see when your drivers are speeding and tell them to cut it out immediately. Imagine this scenario: your driver is on their way to deliver a package to a customer, but their vehicle breaks down before they get there. Without GPS tracking software, there isn’t much you can do in this situation. The package won’t arrive on time, and the customer will be disappointed. That’s terrible for your reputation. But when you do have route mapping software that comes with a GPS tracking feature, you’ll still be able to make the delivery in this scenario. You’ll know exactly where your driver is when their vehicle breaks down, and you’ll also know which one of your other drivers is closest to them. That way, you can send that closest driver over to pick up the package and take it to the customer while the original driver waits for assistance. Your customer stays happy, and your reputation doesn’t take a hit. GPS tracking isn’t just for drivers. It also allows your customers to see exactly where their package is as they wait for it to arrive. They’ll love that. You can set up our route mapping software to send the customer a SMS message when your driver is about to arrive as well. Your customer will appreciate the notice, and your driver will be able to complete the stop and move on to the next customer as quickly as possible. Some stops have more than one entrance. A hospital, for example, usually has one entrance for patients, another entrance for staff, yet another entrance for supplies – you get the picture. If a driver is new to a route, they might show up to such a stop on time, but then get delayed because they’re not sure where they’re supposed to go. The customer will be kept waiting as they circle around and try to find the right entrance. Route4Me’s route mapping software allows you to add notes to a route. In this situation, you could leave a note that tells the driver exactly which entrance they need to go to. Then there’s no reason for your driver to circle around. They won’t have any problem making it to the customer on time. Do you have any questions about route mapping software? Let us know in the comments section below.